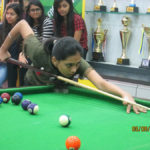 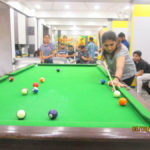 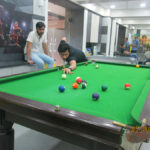 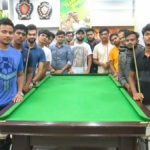 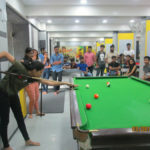 Eight-ball, and sometimes called solids and stripes is a pool (pocket billiards) game popular in much of the world, and the subject of international professional and amateur competition. 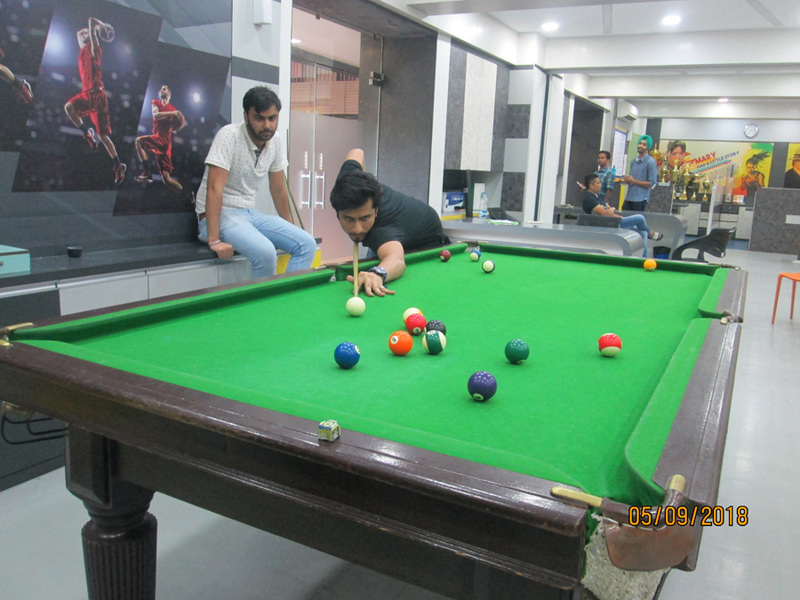 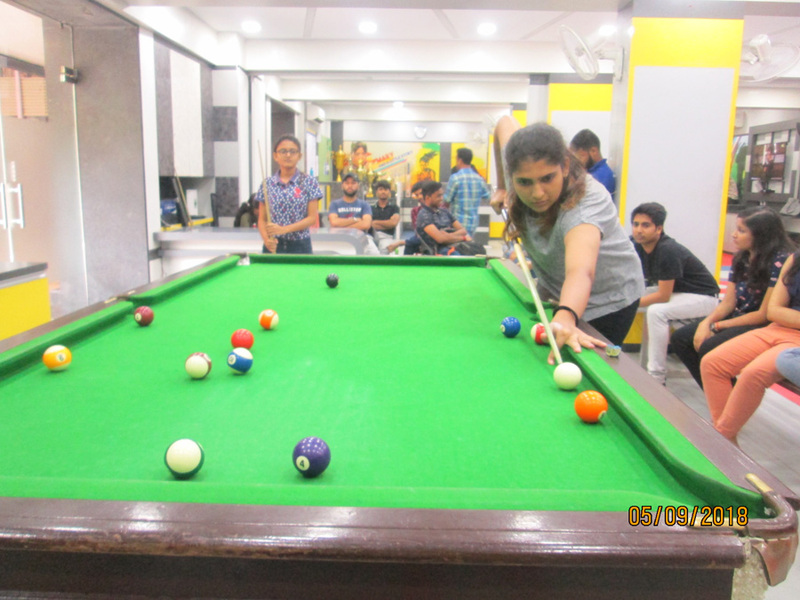 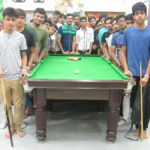 Played on a pool table with six pockets, Eight-ball is played with cue sticks and 16 balls: a cue ball, and 15 object balls consisting of seven striped balls, seven solid-coloured balls and the black 8 ball. 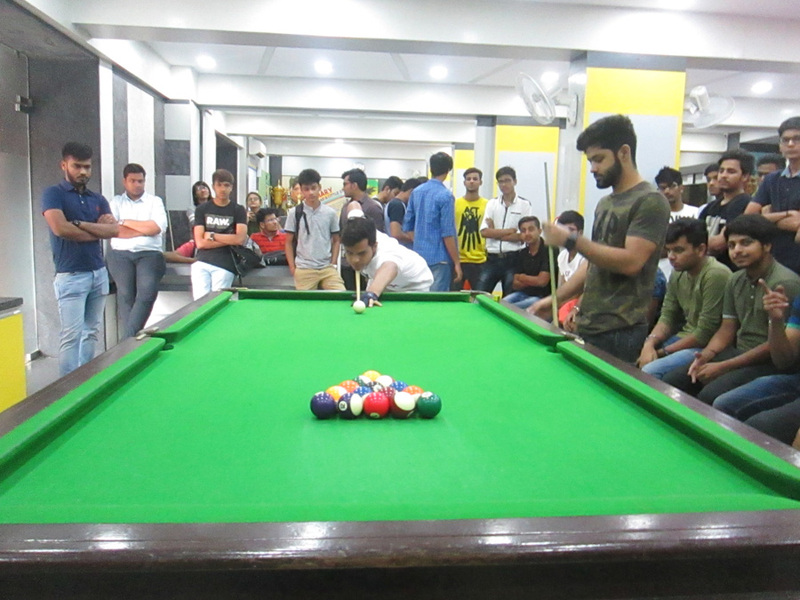 After the balls are scattered with a break shot, the players are assigned either the group of solid balls or the stripes once a ball from a particular group is legally pocketed. 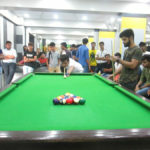 The ultimate object of the game is to legally pocket the eight ball in a called pocket, which can only be done after all of the balls from a player’s assigned group have been cleared from the table. 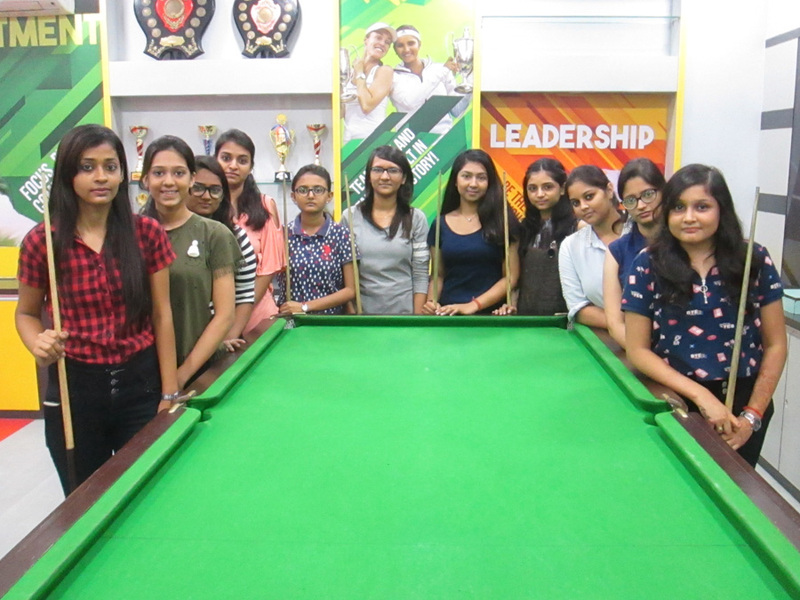 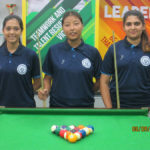 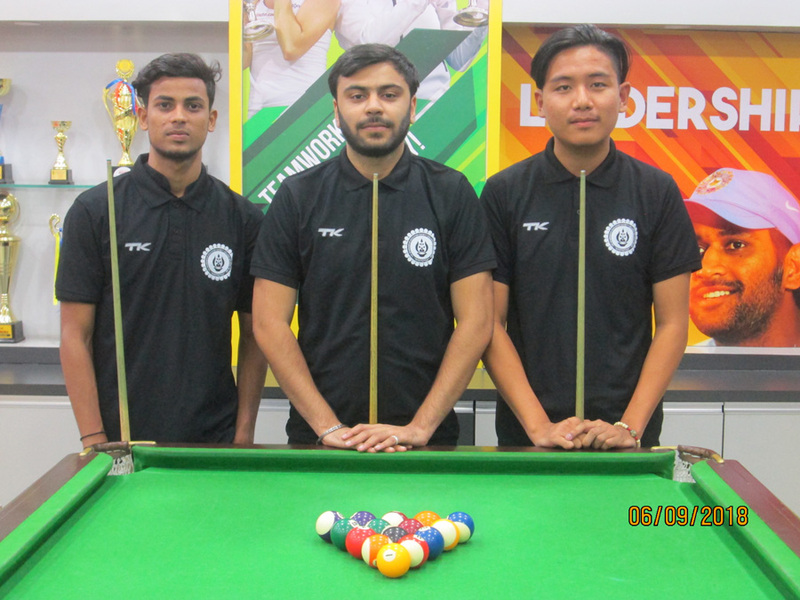 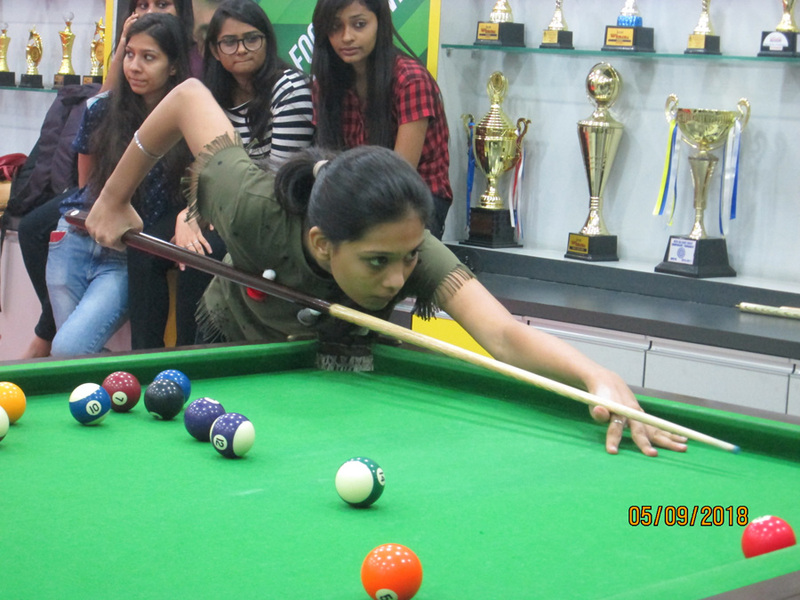 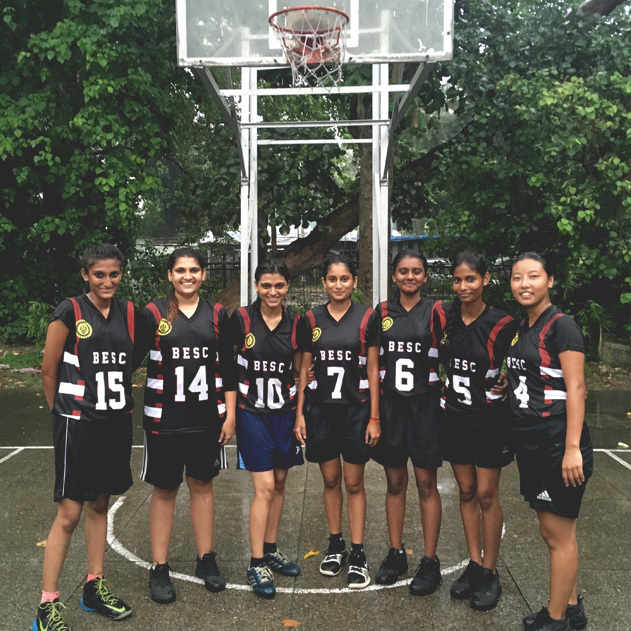 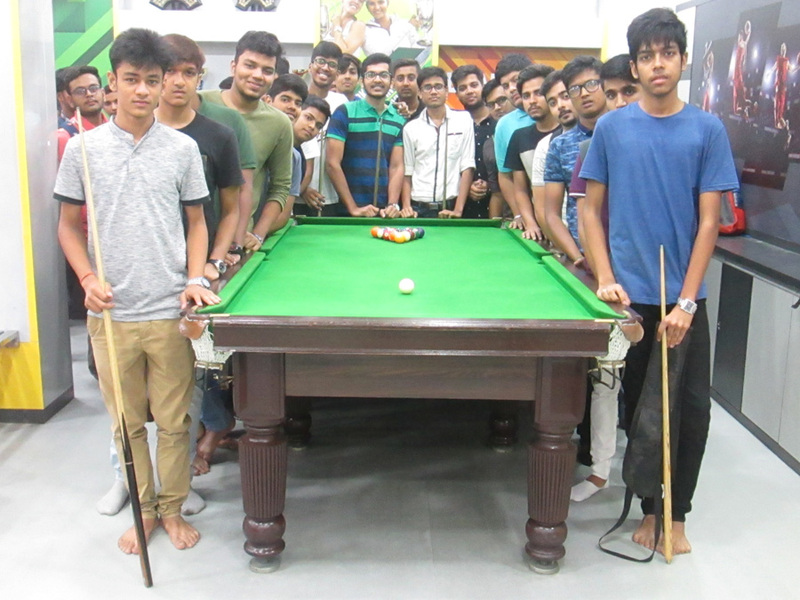 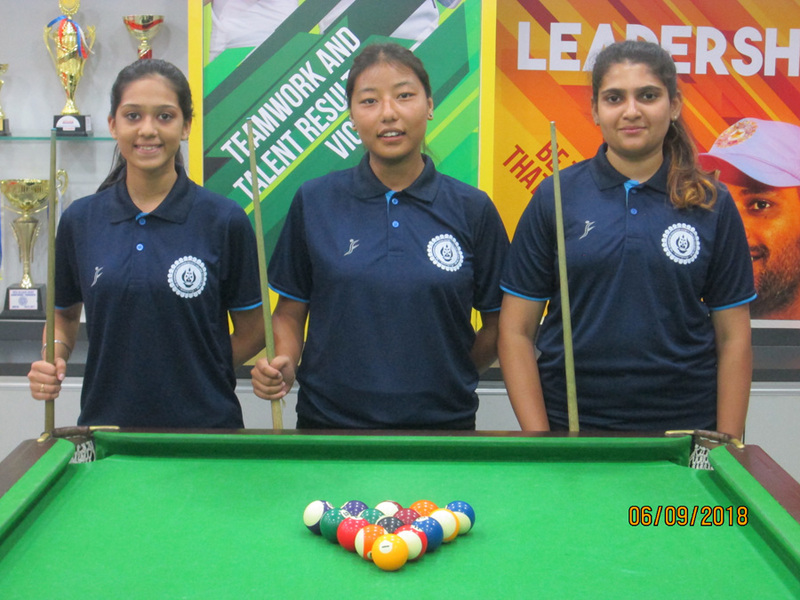 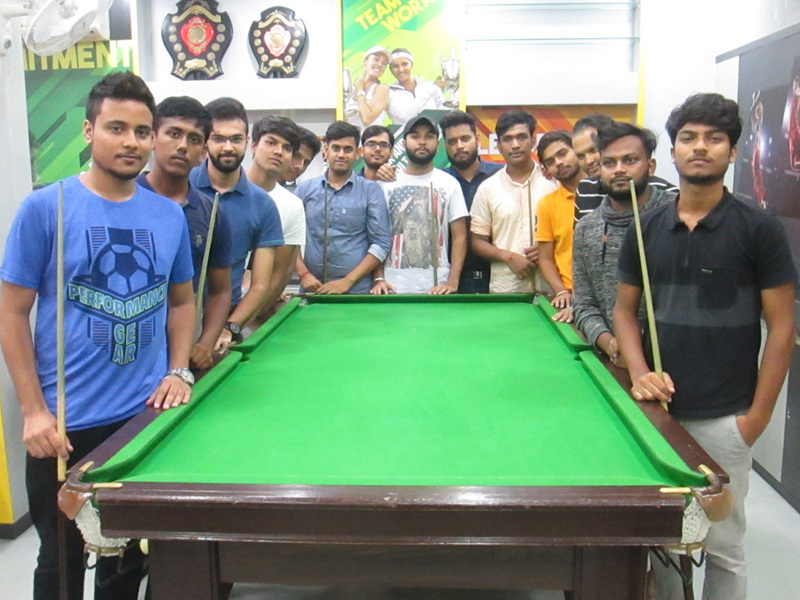 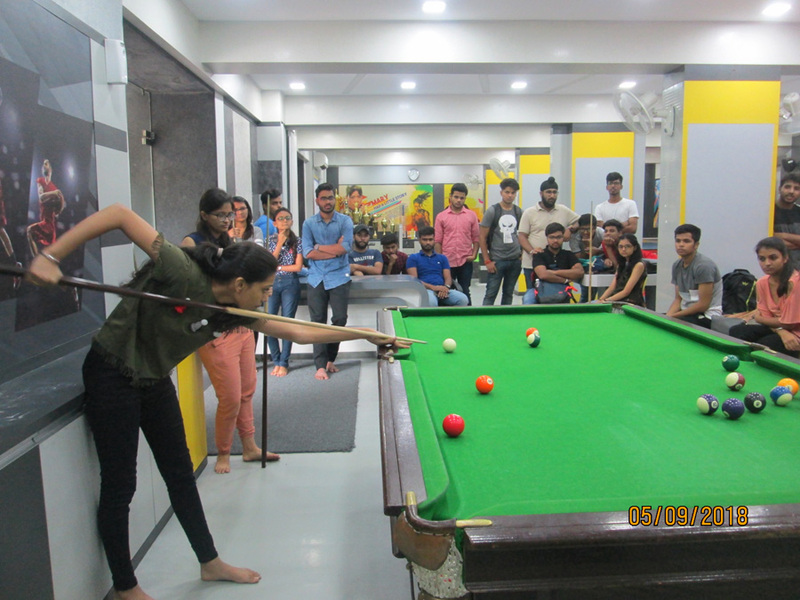 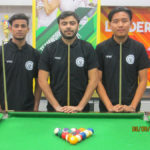 The Intra College Pool single’s knockout Championship for boys & girls 2018 – 19 was held over three days on 4 th , 5 th & 6 th September 2018 at Game & Sports Arena from 8 am to 8 pm. 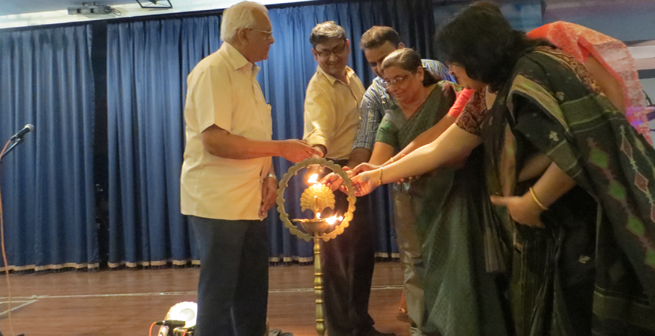 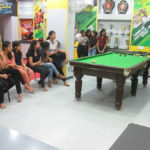 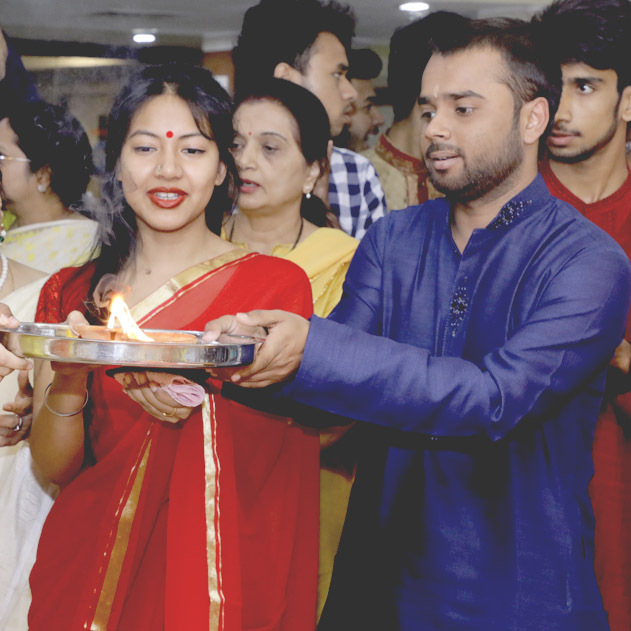 Over 105 boys & 14 girls players participated from all the sessions of college. 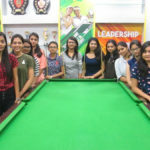 ← NewerPart III Calcutta University Examination, 2018 Re-checking & Self Inspection of B.Com (General student only).